Relocating to Lakeville This Winter? Here's What's Happening! Are you planning to relocate to Lakeville, Minnesota this winter? If so, then you’re in for a treat as the end of year is shaping up to become a wonderfully lively season. 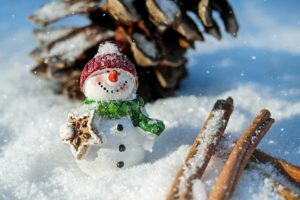 Despite the harsh winters, Minnesotans know how to celebrate in style, and here are just a couple of locations and attractions that you should look forward to, all within close driving distance from Lakeville, Apple Valley and Eagan! There are plenty of good reasons to visit Minnesota Zoo during the winter. First, the Tropics Trail is humid and warm thanks to the climate-controlled environment, making it a fantastic place to take shelter now and then from the harsh cold. In fact, they even have a tropical beach party during the winter which is a perfect place to take your kids to. If you love hilly terrain, glacial ridges and a lush forest, then the Murphy-Hanrehan Park Reserve is the perfect place to go hiking and exploring. It offers a popular mountain bike trail but is also a good place to take long and leisurely walks over some beautiful scenery. During the winter, Murphy-Hanrehan Park reserve becomes even more spectacular and is definitely a sight that you do not want to miss if you’re relocating to Lakeville. Another beautiful park to explore with friends and family, or even to take your dog. There are some beautiful spots to view the lakes and it can even be a good place for a picnic. Whether you’re hiking, biking or even want to spot the wildlife, Lebanon Hills Regional Park is a wonderful area to visit during the winter. A fantastic shopping mall that can feel overwhelming at first, but it’s a fun place to visit if you love shopping or just want to stroll around in a busy and lively area. There are also many places to eat around Mall of America and it’s a fantastic way to take shelter from the harsher winter weather days. During the Christmas season, the festive spirit is everywhere, with additional musical entertainment and lively, bright displays. Holidazzle is an annual premier holiday celebration that takes place in Minnesota. This year, it’s being held in Loring Park and there’s just so much to do that you don’t want to miss out. It runs from November 23rd all the way until December 23rd with various events and attractions going on throughout those dates. There’s lots of food, places to shop and plenty of sights to see. Ryan DeRoode is a realtor that knows what it takes to be a real estate agent that puts clients first. He grew up in Minnesota and knows it inside out, providing him with strong links and networks that extend throughout the state. Ryan takes a holistic approach when it comes to real estate. He gets to know you, learns about your preferences, and uses that information to match you with the perfect home here in Minnesota. So if you’re ever considering relocating to Lakeville or the surrounding area, get in touch with Ryan DeRoode and you’ll experience what an experienced realtor can do for you.